Hand pies to me are a nostalgic treat that evoke memories of my grandma. She used to make fried apple pies for us as kids and I really miss those so I thought I’d try a baked version. I still have a few apples left from our harvest so I thought I’d share yet another apple recipe! I normally use homemade dough, but I had some canned biscuits on hand that I bought with coupons so I used those, but homemade dough or pie crust would also work well. Step 1: Mix cinnamon and sugar. Set Aside. Step 2: Cut apple slices into bite sized pieces and coat with cinnamon/sugar to make filling. Step 4: Place 1-2 tbsp filling in the center of dough and fold over crimping the edges with a fork. Poke top with fork to release steam and repeat with remaining dough and filling. Step 5: Bake per canned biscuit instructions or until dough is cooked through. I had to add a few minutes to my cooking time for this. Step 6: Mix powdered sugar, vanilla and milk in bowl to make icing. Step 7: Remove pies from oven and drizzle icing over top. Enjoy! Mix cinnamon and sugar. Set Aside. Cut apple slices into bite sized pieces and coat with cinnamon/sugar to make filling. Place 1-2 tbsp filling in the center of dough and fold over crimping the edges with a fork. Poke top with fork to release steam and repeat with remaining dough and filling. Bake per canned biscuit instructions or until dough is cooked through. I had to add a few minutes to my cooking time for this. Mix powdered sugar, vanilla and milk in bowl to make icing. Remove pies from oven and drizzle icing over top. Enjoy! These look and sound delicious. 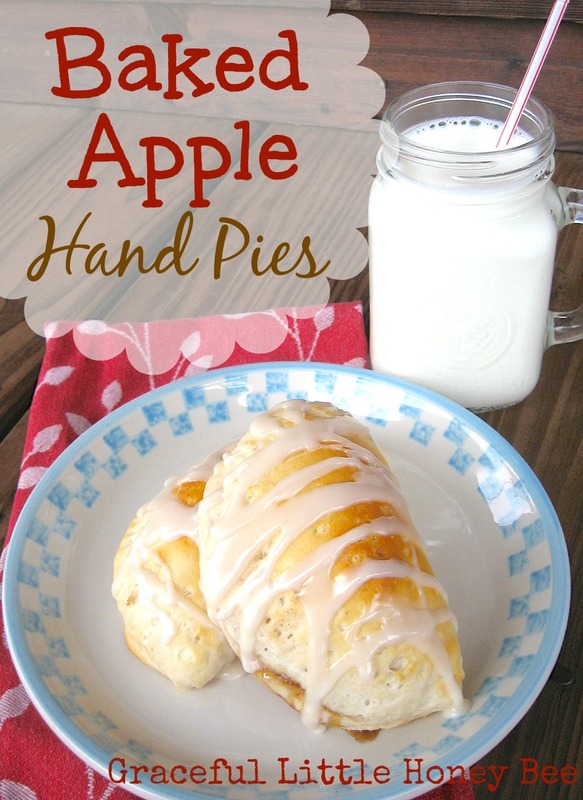 And "hand pies" are great for my grandchildren versus a slice of pie (less sloppy :) Thanks for sharing the recipe. I'm so glad you are getting ideas from here! :) I hope you enjoy the pies!